Allie M. McKay, age 95 of Orange, Texas, passed away on Thursday, January 24, 2019 in Georgetown, Texas. Services to honor Allie's life will be held at 2:00 PM on Wednesday, January 30, 2019 at Dorman Funeral Home Chapel with Rev. Lynn Ashcraft officiating. Interment will immediately at Autumn Oaks Memorial Park. Family and friends will gather one hour prior to the service for a visitation. Allie was born in Port Arthur, Texas on May 23, 1923 to Myrhl Woodall East and Elvin F. East. She married her husband Robert B. McKay on January 31, 1973. 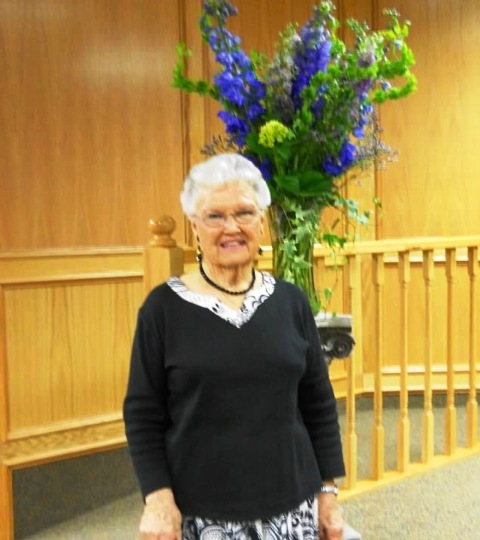 Allie was a faithful member of North Orange Baptist Church. She is preceded in death by her husband Robert B. McKay, Sr., parents Elvin and Myrhl East, brothers; William Richard East, EF East, Sr., Lawrence O. East and Elmo E. East, and sisters; Vivian Inez Erwin, Evelyn E. Morse and Florine M. Emerson. Those left to cherish her memory are step children; Robert B. McKay, Jr., Harry McKay and Patricia Stanley, and one brother, Don Roy East. Other survivors include her nieces, nephews, grandchildren, and great grandchildren. Pallbearers will be Lyn Emerson, Mike Emerson, Butch East, Wayne Morse, Doyle Wayne Morse, Jr., Kenneth Morse, Robert McKay, and Bubba McKay. We would like to thank her grandson, Robert McKay and his wife Andrea for the special care and love they provided her the last several years. In lieu of flowers, memorials may be made to North Orange Baptist Church.